Anyone stupid enough to plant City Trees in snow country has no complaints. No crying, and no help for idiots!!! Eventually they will all break off and crash, and you should have to pay because they are not natural native trees!! 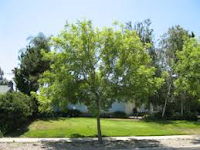 If you want to live around City Trees, move back to LA where you belong. Letter to Sierra Sentinel: No good candidate?